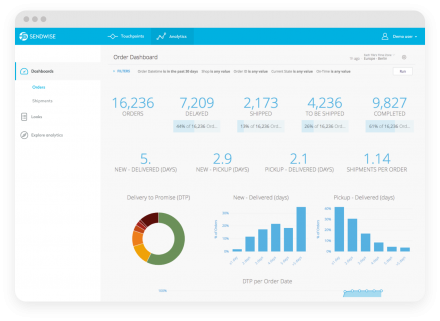 Keep your customers happy and notify them about the status of their shipments before they contact your customer service. 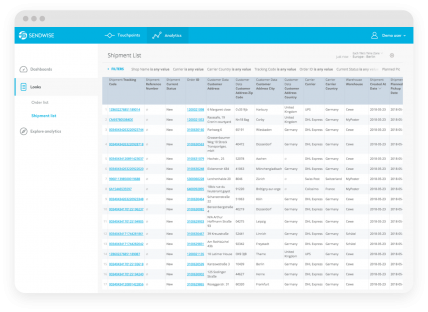 Dig deep into the tracking data of your carriers across all markets. Find out about the causes of delays, monitor the SLA fulfilment. "At Geschenkidee we focus on excellent customer experience. We embedded the tracking software in our shop via the widget interface. By providing consistent delivery updates to our customers, we redirect them back to our shop." 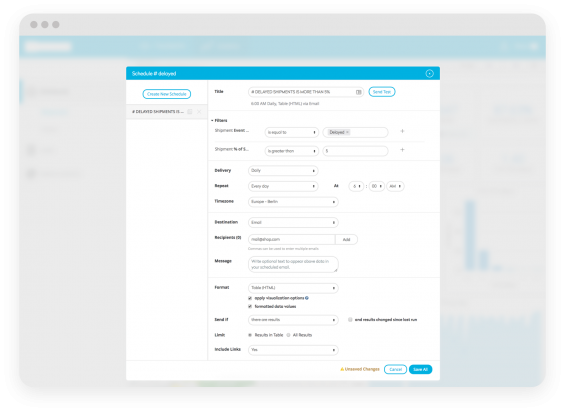 Recommend products for further purchases, grow your social media followers or enhance your mailing base with a selection of smart widgets.